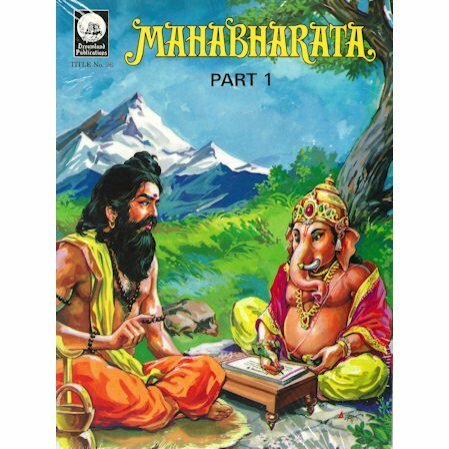 The Mahabharata presented in comic book format. 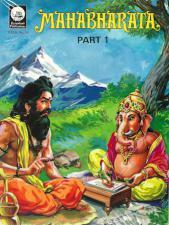 A companion to the Ramayana comics. This grand tale is told for kids in 12 comic book-style volumes bound in one book. I was very disappointed, as the item was described as a set of the comics. I love the Indian comics, but these were not comics, but poorly written text with pictures. This is not what I wanted to order.